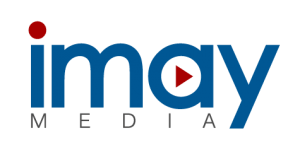 iMayMedia produces an ever-expanding portfolio of podcasts, videos, and live events at interior design and paint contracting trade shows. Our expertise is in storytelling, and we have the skills to creatively market your brand across multiple mediums. We approach every project with a hands on approach that emphasizes team collaboration. Interested in our services? Feel free to fill out the form below and we will reach out to you shortly. What is your current service area? Are there any particular areas that you prefer or try to avoid? Are there any competitors that come to mind already? What platform is your site currently on? Are you willing to switch to WordPress? What parts of the site are you looking for us to manage? What are you wanting filmed? Would you like us to edit the footage? How quickly would you need the edits? Do you currently have a podcast on the air?